EGGSTRAORDINARY Mrs G has just laid the second egg of 2019!!! 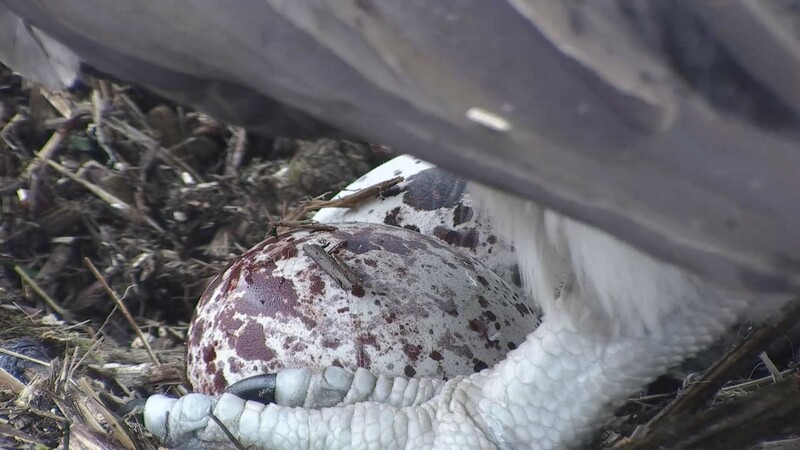 She stood up at 11:42 this morning, April 16, to reveal the egg. This is the 50th egg laid by Mrs G in her lifetime. An extraordinary achievement by an extraordinary osprey. Here is the moment Mrs G laid her second egg. Aran was on the perch as Mrs G laid the egg and was on the nest within minutes, gently nudging her off. It seems he likes to take his turn sitting on the eggs too!